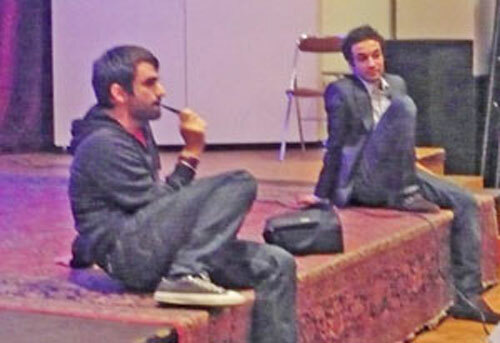 French Armenian artist Toros with filmmaker Arto Pehlivanian in Valence, France. 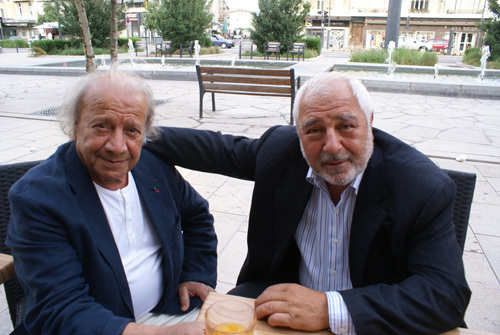 After a lifetime of filming others, the late French Armenian artist Henri Verneuil has himself become the subject of the silver screen with the documentary “V for Verneuil,”which was presented by AGBU Valence in partnership with Cinema le Navire on May 31, 2012. The 2010 documentary, which was created by Arto Pehlivanian, founder of the French-Armenian Film Club (an initiative of the French Cultural Union of Armenians of France), explores the life and career of the celebrated author and director. Drawing from various archives and personal records, Pehlivanian highlights the ways Verneuil blurred the lines between fact and fiction with his semi-autobiographical novel, Mayrig, and the popular movie of the same name. Both tell the story of a family’s struggles after immigrating to France from Turkey following the Armenian Genocide of 1915, mirroring Verneuil’s own past. His work resonated strongly with audiences and now, through “V for Verneuil,” his legacy lives on among his many admirers. The AGBU-sponsored screening attracted public figures including French director Cyril Désiré, director of le Navire cinema, and French Armenian sculptor Toros Rast-klan (Rastguelénian), who were joined by AGBU France District Chair Philippe Panossian. 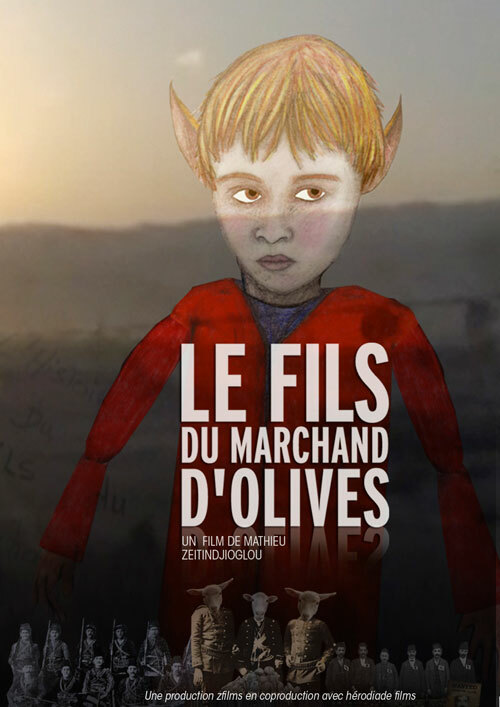 On April 2, Paris’s AGBU Youth presented the film “Le Fils du Marchand d’Olives” (The Son of the Olive Merchant) in honor of the 96th anniversary of the Armenian Genocide at the Alex Manoogian Cultural Center in Paris. 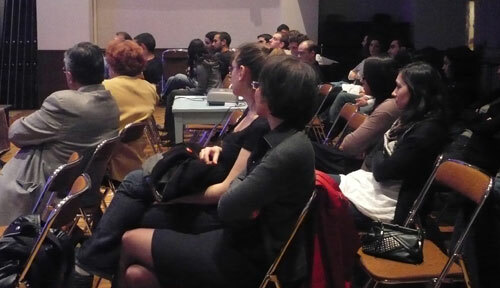 The presentation was followed by a discussion with Mathieu and Anna Zeitindjioglu, the film’s director and his wife. The film tells the story of Mathieu and Anna and their honeymoon in Turkey, where they travel to inquire about Garabed, Mathieu’s Armenian grandfather who had escaped the 1915 Armenian Genocide. The historical documentary is the record of a road trip through the country, marked by meetings with people, vignettes of animation, and other moments of investigation, to help illustrate a Turkish vision of the 1915 tragedy. To view the pre-event release (in French), click here. On June 6, more than 30 people attended a film screening of “One July in Ledjap” at the AGBU Alex Manoogian Centre in Paris, France. Created by Khajag Soudjian, the film explores the like of a quiet village near Armenia’s Lake Sevan. The film screening was followed by a question and answer period with the filmmaker about the daily life of the villagers, as well as, their traditions and customs. 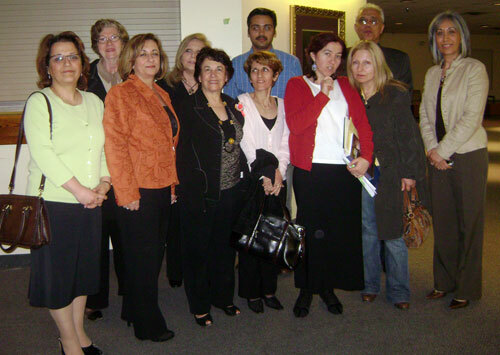 The lecture “Family Matters in Atom Egoyan’s Films” was presented at AGBU Toronto’s Alex & Marie Manoogian Centre by Nellie Hogikyan on Friday, April 25th, 2008. Toronto Chairman Eugene Karadjian introduced the esteemed lecturer. From the beginning of his career, Atom Egoyan has made the family and the home the center of his artistic inquiries. Exile, genocide, trauma are all part of the family heritage, yet, the transmission of these Armenian facts is peculiar, not to say problematic, and not taken for granted in the context of the diasporian family institution. The presentation discussed the way the world-renowned Armenian-Canadian filmmaker has brought to the screen not only the telling of history, but also its effacement and its denial within the family. The question of mixed marriages, intercultural relations, and recomposed Canadian families in the context of immigration was highlighted. A question and answer period followed the interesting and informative lecture. Nellie Hogikyan is a postdoctoral fellow at the University of Québec in Montréal, Canada. She is currently co-editing a collection of essays on women and exile to be published in Québec. Her doctoral thesis on Atom Egoyan will also be published in French at the University of Laval.